Paul Kaye is Professor of Immunology at the University of York. He trained in zoology (BSc) and immunology (PhD) and has worked for over 30 years on the immunology and immunopathology of the neglected tropical disease leishmaniasis. He is internationally recognized for his research on macrophages and dendritic cells, contributing to a fundamental understanding of their biology in health and disease, and for his work on lymphoid tissue remodelling and granulomatous inflammation during chronic infection. 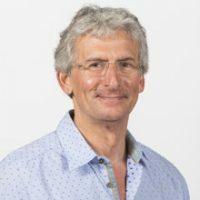 Paul is a Wellcome Senior Investigator and an elected Fellow of the UK Academy of Medical Sciences. He was awarded FRCPath by publication in 2004 and has published over 150 articles and reviews, with numerous articles in leading international journals (e.g. Nature Medicine, Immunity, J. Clin. Invest., PNAS). Paul’s research tackles leishmaniasis from a holistic viewpoint, rooted in the immunology of the host-parasite interaction, but employing tools and approaches taken from many disciplines, including mathematics, ecology, vector biology and neuroscience. He has extensive links with leishmaniasis-endemic countries and is currently leading a Phase II therapeutic vaccine trial in Sudan and developing a digital pathology platform to facilitate a greater understanding of disease pathogenesis through data sharing and collaboration across geographic borders.